Compliance.. The mere word is enough to give many IT managers or business owners a headache. Just when you think you have everything figured out, and all of your networks and data are locked down tight, along comes another requirement or set of standards that your company has to adhere to, all in the name of keeping information secure and out of the hands of criminals. And as challenging as those standards may be to meet, the consequences of not adhering to them are even worse. Skipping or partially adhering to a regulation, even if by accident, could lead to major fines, penalties, and perhaps worst of all, a loss of trust from customers. Adhering to compliance rules is complex enough on its own, but a number of factors and trends make it even more difficult. Understanding these challenges, though, and taking steps to mitigate them, can help your company stay compliant, and avoid not only a costly data breach, but also the consequences of not following your industry guidelines. 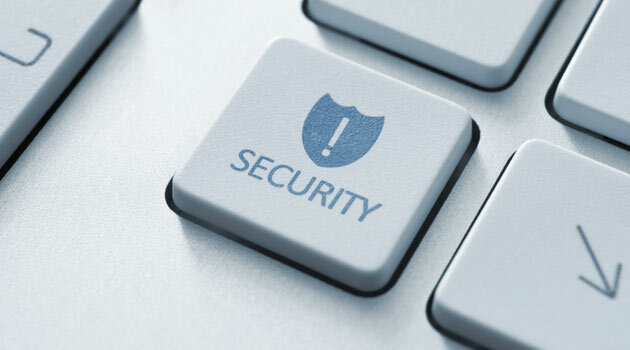 Several studies indicate that employees actually present the greatest risk to data security. Often, this stems from a lack of understanding of compliance and security issues, rather than a deliberate attempt to expose their employer to risk. Social engineering attacks are always a concern, but when it comes to compliance, the transmission, and storing of data and the use of unsecured networks is often a greater concern. For example, the employee who emails work to him or herself or saves it to a personal account on a cloud-based storage service could make your company non-compliant even if he or she was only trying to be more productive. Logging into corporate networks using public Wi-Fi, like at an airport or coffee shop, could also affect compliance. Thanks to mobile devices, employees are no longer tied to their desks, and can essentially work from anywhere that they have a cellular or Wi-Fi connection. This is a boon to productivity, but can present a risk when those mobile devices are not protected the same way that devices used in-house are. Not to mention, if mobile devices are lost or stolen, without a way to disable or lock the device, data could be at risk — and out of compliance, given that stolen devices are a leading cause of data breaches. The simple fact that so many security and compliance standards must be met presents challenges to organizations. Many organizations must meet multiple industry guidelines; for example, a medical equipment supplier that allows consumer purchases must adhere to HIPPA, HITECH, and PCI regulations. While there is some overlap between standards, there are some differences, and teams must be sure they are checking all the boxes. Cloud services, web applications, and other vendors present a number of challenges to maintaining security compliance. In order to use a particular vendor, compliance-driven organizations must ensure that all of the underlying compliance requirements are being met, and that they aren’t inadvertently putting data at risk via a non-compliant vendor. While vendor relationships can present some compliance challenge, working with the right vendor can actually make it easier to manage all of the requirements. For example, choosing a data center that is already compliant with regulations for HIPPA, PCI, or the SOX Act can provide the necessary security as well as the guidance a company needs to maintain compliance. Providing effective employee training and security management. Clear security guidelines and policies written with the average user in mind — as well as an explanation of the rationale for those guidelines — can go a long way toward keeping data secure. Managing mobile devices. A strict policy regarding the usage of mobile devices, whether provided by the company or the employee, is also important for maintaining security and compliance. Employ a mobile device management solution that allows for automatic security updating and remote management should the device be lost or stolen. Building relationships. IT security teams must work closely with risk management and compliance departments to ensure that all of the standards are being met and that new developments and changes are addressed appropriately. Compliance is a serious issue that cannot be ignored, but with the right tools and partners, it’s not nearly as complex as it could be. Understand the threats and challenges to full compliance, and take steps to mitigate them to avoid irreparable harm to your business.